Whether you’re dealing with the aftermath of allowing the kids to eat a greasy snack on the couch or you’re searching for a quick fix to an upholstery stain in the office, our team can help. At Best Way Carpet and Tile Cleaning, we are proud to offer upholstery cleaning tips in NJ to help our customers keep their home and businesses in great shape. No matter how it ended up on your upholstery, dealing with a stain can seem like a difficult task. However, when you follow the following tips for upholstery stain removal, it doesn’t have to be! The next time you find a stain on your upholstery, following these tips and tricks will help you remove the tough stain in no time. 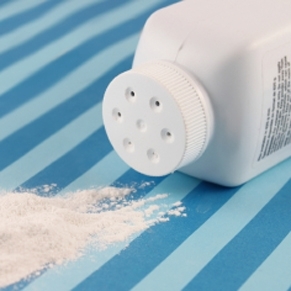 Baby powder is among the best products to use when you have a fresh grease stain in your upholstery. When you find this kind of stain, immediately place baby powder onto the stain, as it will effectively absorb the stain from your upholstery. Once the baby powder absorbs most of the grease stain, scrub the affected area with an upholstery cleaner. Another product that effectively removes tough stains is cornstarch. This powdery product will not only absorb grease stains, much like baby powder, it can also be mixed with milk to create a paste that fantastically removes ink stains and more. Once the paste dries, you can easily brush away the residue and use a vacuum to remove the rest. Did you know that in addition to adding a bit of seasoning to your meals, salt is a great way to get stains out of your upholstery? Whether you find a grease stain or (gasp!) a red wine stain, salt can do a fantastic job of removing the stain. When you find a grease stain, mix salt with rubbing alcohol to remove the stain. When you face a red wine stain, begin by diluting its bold color with white wine, cleaning the area with cold water and then placing salt on the affected area. If you need more assistance, simply give our upholstery cleaning service in NJ a call! At Best Way Carpet and Tile Cleaning, we are proud to be able to help customers with any stain they might find. To learn more about our services, we invite you to give us a call at (732) 391-6500 and visit us online at www.bestwaycleaning.net. This entry was posted on Thursday, August 15th, 2013 at 9:54 am and is filed under Upholstery Cleaning.